Weekly Roundup: Art & Wine, A Bold Vision for Rail and CA High Speed Meetings – Peninsula Moves! Mountain View Hosts Arts Festival: Salsa dancing, wine tastings from Santa Cruz Mountain vintners, 600 booths of artist displays and much more will be on hand for the 44th annual Mountain View Art and Wine Festival this weekend. The free gathering will run from 10 a.m. – 6 p.m. on Saturday and Sunday and will take place on Castro Street in downtown Mountain View, just blocks from the Mountain View Caltrain Station. The family-friendly event will feature live musical performances from 13 different bands, activities for children like bungee jumping exhibitions and rock climbing walls and plenty of tasty food concoctions from celebrated local eateries. Caltrain’s weekend schedule offers hourly service to the station, plus four Baby Bullet trains, so event attendees will have plenty of opportunities to enjoy the special weekend in Mountain View. SF Supervisor Outlines Bold Vision For Rail Transportation Network: San Francisco Supervisor Scott Wiener has introduced a “Subway Master Plan,” for the city that would dramatically increase the underground transit network. 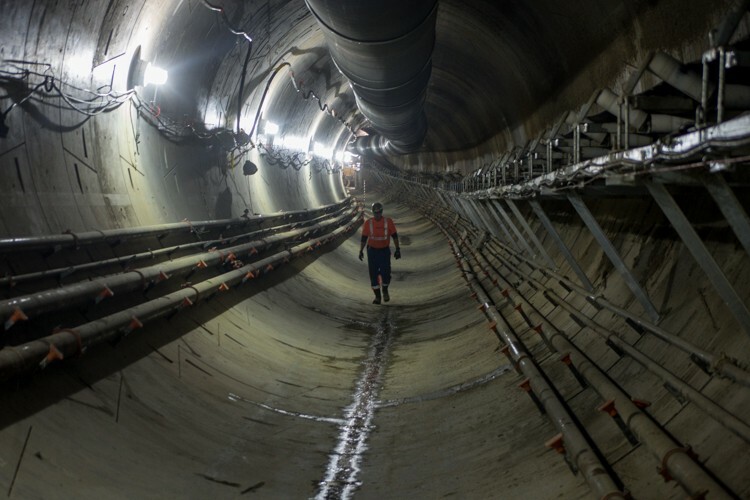 Under Wiener’s proposal, San Francisco would constantly be working on tunnel expansion projects for subway use, so that the city eventually resembles the vast networks boasted by places like New York and London. While BART and Muni have heavy and light-rail networks in San Francisco, Wiener noted that many of the city’s neighborhoods are accessible only by bus, and expanding the rail transit network in those communities would help the city grow. While Wiener lays out an ambitious plan, it’s still far from becoming a reality. The “Subway Master Plan” will go before the Board of Supervisors’ Land Use and Transportation Committee for debate this fall, but even if it is approved, there is still no funding identified for the multi-generational project. High Speed Rail Hosting Open House Meetings: Over the next two months, the California High Speed Rail Authority will host a series of public meetings in the Bay Area to discuss plans for its proposed San Francisco to San Jose and San Jose to Merced train routes. The first such gathering will take place this afternoon from 4 p.m. – 7 p.m. at the Commonwealth Club in San Francisco. There are meetings scheduled for later this month in San Jose and Morgan Hill and another one planned for Burlingame in October. The authority will address questions, present the most current information on the project and gather feedback from attendees. The high-speed rail network, which will share tracks with Caltrain in the Peninsula as part of a “blended system,” is projected to one day carry passengers from San Francisco to Los Angeles in less than three hours, on trains travelling up to 220 miles per hour (although it will only travel up to 110 mph on the Peninsula. ).